This resource is pretty unique in that it’s more than just the paperback book. It’s also a website, Facebook group, email list and more. Honestly, it’s a little overwhelming. It’s important to note that this book isn’t a writing advice book in the traditional sense. It focuses instead on teaching you how to learn from the things you read – how to recognize patterns and story structure and how to apply that to your own writing. 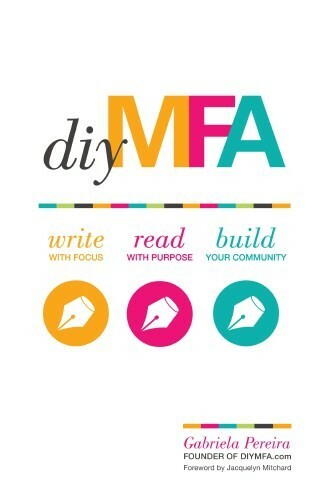 As the title implies, diy MFA is a way of pursuing an MFA without the price tag, and Pereira points out it’s primarily for those writers who don’t fit neatly into one of the three boxes available through most MFA programs (poetry, literary fiction or creative nonfiction). I read the book and applied some of the exercises, but honestly the amount of work is a little too daunting to tackle on my own. I can do some self-direction, but completely tackling a project like drafting up my own MFA program and sticking to it is a little beyond my abilities at the moment – and I can’t afford the bootcamp/online classes she offers either. That being said, there’s some really solid advice in the book, as well as fantastic recommendations for additional books to improve your writing craft. If you’re super self-driven and can’t do a traditional MFA for one reason or another, it’s a great way of getting the experience. If you’re not super self-driven, it’s still a fantastic read and you can pick and choose what works best for you.